Steve is a leader of BIM and IPD at AECOM, a global provider of professional technical and management support services to markets including transportation, facilities, environmental, energy, water and government. 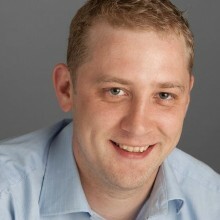 He also leads the company’s BIM Advisory Service in Australia and New Zealand. He is passionate about lean practices and fully realising the benefits of BIM across the construction value chain. He works closely with key clients advising them on procurement of BIM services and implementation processes at project and enterprise level. Steve regularly presents leading thinking towards BIM at industry conferences and events internationally.